“As a newly established firm, our main priority is to build and maintain excellent relationships and in order to do this, our core technology needs to ensure the entire claims process is seamless – for us and our clients. Based in Manchester, Virtus Law Ltd is a boutique firm specialising in personal injury. 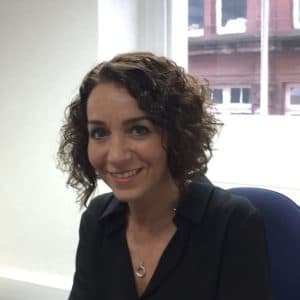 Founded by Rossanna Schurink in 2015, the firm was set up to offer clients expert advice and guidance through the claims process, which can often be very stressful. The team has a wealth of knowledge and experience within the industry, and although the practice has plans for expansion, Virtus Law Ltd aims to continue offering a truly personalised service. As a new start-up, Virtus Law Ltd needed a legal software solution that could enable the team to focus on developing the practice’s reputation, increasing case volume and forming client relationships. Crucially for a new firm, Virtus Law Ltd needed a practice management software solution to streamline processes from case inception, whilst keeping manual administration to a minimum. Although Rossanna had previously used Proclaim and knew of its capabilities, she was interested to see Eclipse’s overall operation and service offering from its Bradford HQ. Following a meeting and in-depth demonstration of the software, Virtus Law Ltd selected the Proclaim Personal Injury Practice Management system. As a boutique firm, Virtus Law Ltd needed an extremely efficient on-boarding process that could cope with a high volume of cases. Since the implementation of Proclaim, the practice has seen enhanced client inception procedures – all relevant documentation is created at the start of a case, and collated at the click of a button. From here, the pack is sent securely, electronically signed by the client and returned to Virtus Law, within a matter of minutes, guaranteeing work is commenced instantaneously. Furthermore, proclaim is used by a number of medical agencies meaning client details can be seamlessly transferred between Virtus Law Ltd and its chosen agency quickly and efficiently, ensuring clients receive details of medical appointments as soon as possible, serving to further streamline the process. Additionally, the integrated accounting and financial toolset provides a fully centralised system and offers a seamless approach to billing and overall practice management, ensuring a detailed analysis of operations.